Heads of 70 public sector univer­sities demand more fundin­g. Heads of 70 public sector universities demand more funding. The heads of over 70 public sector universities on Tuesday urged the government to prevent the financial collapse of higher education institutions. They demanded that the government increase university grants, in addition to recompensing previous cuts in recurring expenses to ensure the standard of education in degree-awarding public sector institutions. 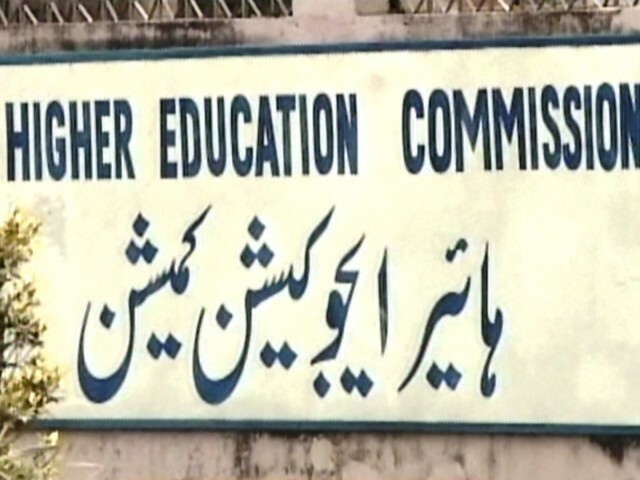 Vice-chancellors (VCs) and rectors of public sector universities from all over the country stated this at the annual Vice Chancellors’ Committee meeting, which was also attended by the Higher Education Commission Chairman Javed Laghari. The university heads had a heated debate over the lack of funds available to public sector institutions, as some universities are even running out of funds to pay salaries. The university heads passed a unanimous resolution that, “Singling out universities employees and denying them the 50 per cent salary raise announced last year by the prime minister and the 15 per cent raise announced this year is untenable, unjust and discriminatory. We strongly urge the government to provide additional grant to cover this shortfall before the simmering employee’s agitation turns ugly, upsetting the peaceful educational environment, causing irreparable loss to students and their studies.” They said that it is unfortunate that despite assurance by the PM and the finance minister last year to raise the grant to higher education, it was instead cut by 30 per cent. HEC Chairman Dr Laghari acknowledged the challenges faced by universities and advised the heads to raise funds in addition to government funding. At the end of the meeting, representatives of the universities’ VCs highlighted examples of various public universities in Balochistan and K-P that, in addition to government grants, are generating 40 to 50 per cent of their funds without burdening the students. HEC Executive Director Dr Sohail Naqvi stressed the significance of quality measures in universities and asked the VCs to strictly implement quality criteria in their respective institutions, including plagiarism policies, MS and PhD eligibility criteria, and the appointment of faculty members. He said that the performance of universities has improved in terms of research and development, however, he urged the VCs to continue performing with the available resources. Naqvi said HEC has introduced an evaluation system by distributing evaluation forms among students to gauge the performance and attendance of teachers. However, some universities have failed to fully implement this system. This mechanism will soon be made mandatory in all universities to ensure improvement in the performance of teachers. About the teacher-students ratio in classrooms, the ED said that the average ratio is 25 students per teacher, however, it varies from faculty to faculty as the ratio is lower in medical sciences and higher in social sciences. Published in The Express Tribune, September 14th, 2011. VCs’ recommendations will be shared with HEC and other stakeholders.